Bret P. Shaffer – Schiffman Sheridan & Brown, P.C. 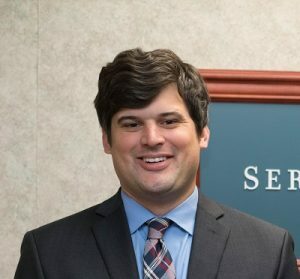 Attorney Shaffer is a 2007 graduate of Penn State Schreyer Honors College and a 2010 graduate of the Penn State Dickinson School of Law in University Park, Pennsylvania. He was admitted to practice law in Pennsylvania in 2010 and New Jersey in 2011. Attorney Shaffer’s practice focuses on federal and state litigation, including collection matters, enforcement of contracts, land use/municipal law, constitutional law, tax assessment appeals, and eminent domain law. Attorney Shaffer practices family law, including divorce, custody, child and spousal support, alimony, adoption, and prenuptial agreements. He regularly practices before the Orphans’ Court division in guardianship proceedings and litigation relating to trusts and estates. Attorney Shaffer handles appellate casework and has argued before both the Pennsylvania Superior and Commonwealth Courts. He has appeared in federal court in the Middle District of Pennsylvania, including in the Bankruptcy Court for the Middle District of Pennsylvania, where he has represented creditors in adversary proceedings. He has tried, presented, or argued before the Courts of Common Pleas of the Counties of Cumberland, Dauphin, Franklin, Huntingdon, Juniata, Lackawanna, Lancaster, Lycoming, Perry, Pike, and York, as well as before numerous magisterial district justices and municipal bodies. He represents clients throughout central Pennsylvania. Attorney Shaffer is the solicitor of Franklin Township in York County, Pennsylvania. He has appeared as an instructor at Continuing Legal Education Presentations, where he has discussed the intersection of divorce and bankruptcy law, as well as mortgage modifications. He is a member of the Pennsylvania Bar Association, as well as the Cumberland County and Dauphin County Bar Associations. In 2012, he was named the Cumberland County Pro Bono Attorney of the Year.